Itemis-glen-cartoon-m-8000-235 - "At least we're on the bus!" Itemis-glen-cartoon-m-8000-238 - "Sidney, here, has a perfectly, marvelous idea to solve the city's problem.... Fill the pot holes with garbage." 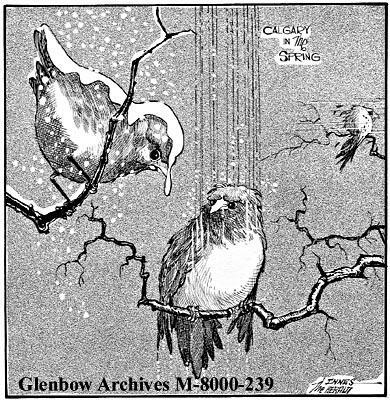 Itemis-glen-cartoon-m-8000-239 - " 'Let's go to sunny Alberta this spring' you said....."
Itemis-glen-cartoon-m-8000-241 - "Thanks, shop steward...for awhile there i'd forgotten what the issues were!" Itemis-glen-cartoon-m-8000-243 - "Take a letter Miss Hawtcrawtch..."
Item is-glen-cartoon-m-8000-239 - " 'Let's go to sunny Alberta this spring' you said....."